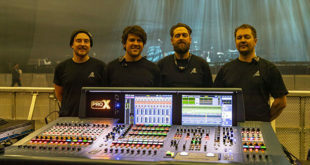 US Pro audio manufacturer, Aviom, have debuted their new series of Pro16 Personal Mixing Systems at the Winter NAMM 2012 event in Anaheim, California. The Pennsylvania-based company revealed that the industry-leading series now includes MIX1, MIX4, MIX6, MIX6Y, MIXSP and MIXMZ systems. All the Aviom systems harness the power of Aviom’s innovative digital audio technology, A-Net. A-Net simplifies the system design while enhancing the overall fidelity and flexibility. The range of new systems will, according to Aviom, ensure that the perfect mix of gear is provided for users requiring such tech for the stage or the studio. The MIX1 One-Mix Personal Mixing System features an A-16II Personal Mixer, an AN-16/i Input Module and a MT-1 Mic Stand Mount. 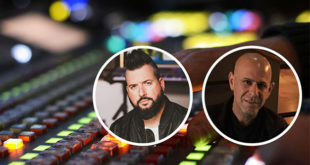 According to Aviom, using this system musicians will easily be able to move from the wedge and move to a one-person personal mixing system without having to wait for the rest of the band to follow suit. It is easily done. Simply connect the AN-16/i to a console, attach the A-16II to a mic stand using the MT-1 mount and, using the Cat-5 cable included, connect the input module to the personal mixer. The new Four-Mix and Six-Mix Personal Mixing Systems, the MIX4 and MIX6, offer four and six A-16II personal mixers and NT-1 mic stand mount, respectively. These MIX4 and MIX6 systems also include Aviom’s A-16D Pro A-Net distributor. This distributes the audio and the power to the personal mixers via the Cat-5 cables. Aviom have also released the Six-Mix Personal Mixing System for Yamaha, the MIX6Y. This provides the same components as the MIX6 but includes an Aviom16/o-Y1 A-Net card. This replaces the analogue input module and allows users to connect to a Yamaha console directly. Finishing the line-up are the Standalone Personal Mixing System, the MIXSP, and the Multi-Zone Personal Mixing System, the MIXMZ. These systems are designed for more unique user applications. The standalone MIXSP comes along with an Avoim AN-16/i-M mic input module. 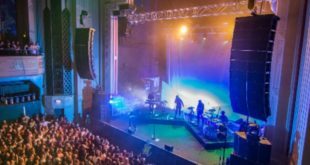 This is particularly useful for travelling bands as it allows them to work independently of the console and sound engineer at any given venue. Finally, the multi-zoned MIXMZ keeps the system simple whilst also allowing users to introduce more channels. Aviom will be found at Booth No. 6720 in Hall A of the Winter NAMM 2012 event.